The Manchester Histories Festival is well underway, so I think it’s time for some historically-minded posts. 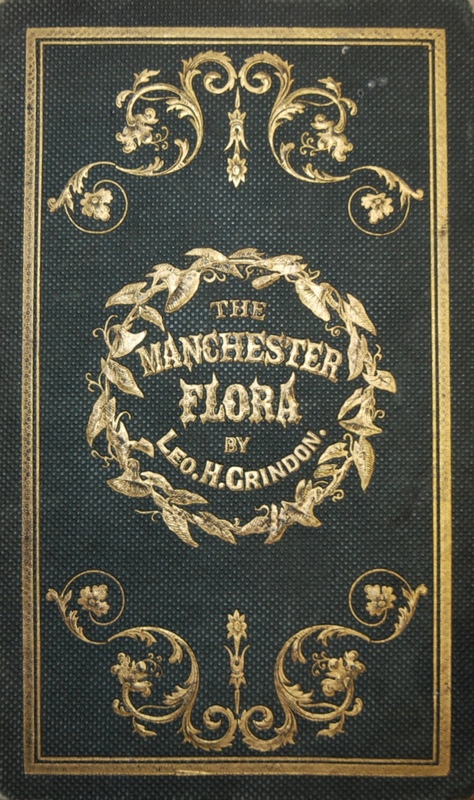 Leo Grindon’s Manchester Flora was published in 1859 by William White of Bloomsbury and it is ‘A descriptive list of the plants growing wild within eighteen miles of Manchester with notices of the plants commonly cultivated in gardens’. The book encourages us to ‘consider the lilies of the field’. Along with an introduction to botany, keys to the families of plants and descriptions of species, Grindon also tells us where to go and look for these plants. So, in 1859, Ringway was the place to go and see snowdrops. I wonder if there are plenty to be found around the airport this spring? 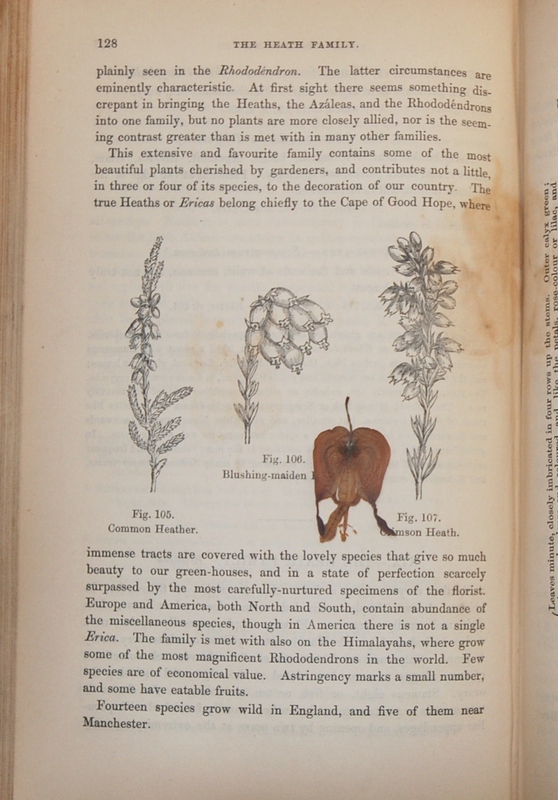 Our copy also has an added extra tucked safely between its pages – a little bleeding heart flower (Lamprocapnos spectabilis, previously Dicentra specabilis). This plant became a popular addition to british gardens after 1846 when Robert Fortune brought it back from his travels through Japan (1812-1880). I wonder if the person who pressed it managed to identify it? 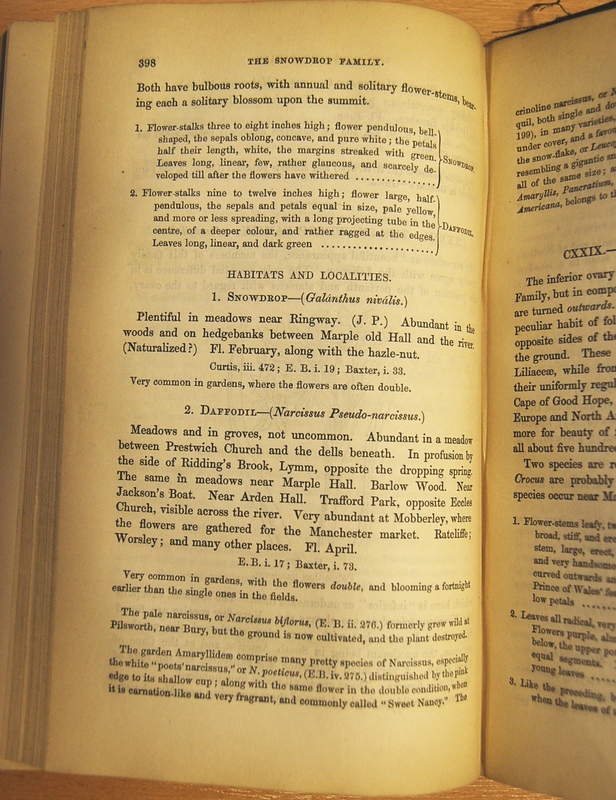 This entry was posted in Manchester, Victorian Botanists and tagged Leo Grindon, Manchester, snowdrops. 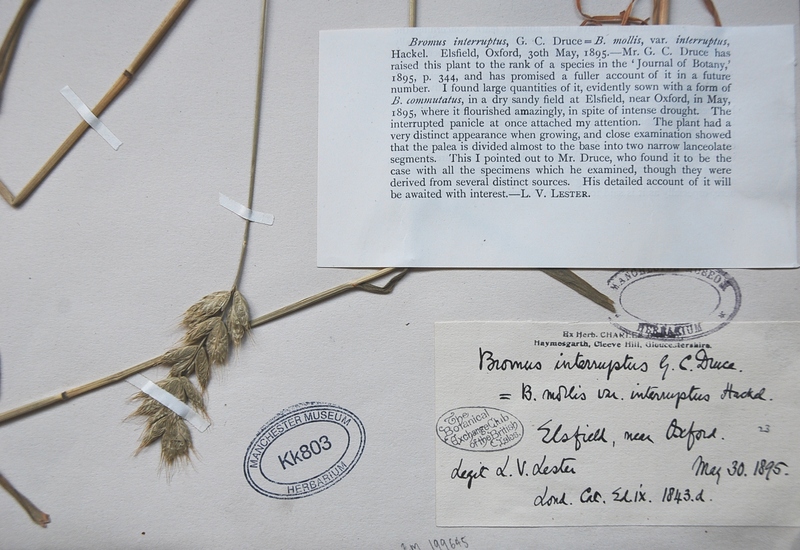 Bromus interruptus (interrupted brome) was an agricultural weed found in southern and eastern England, but it became extinct as agricultural practices changed. The species is thought to have originated in Britain in the 19th century, but it was no longer found growing wild by 1972. 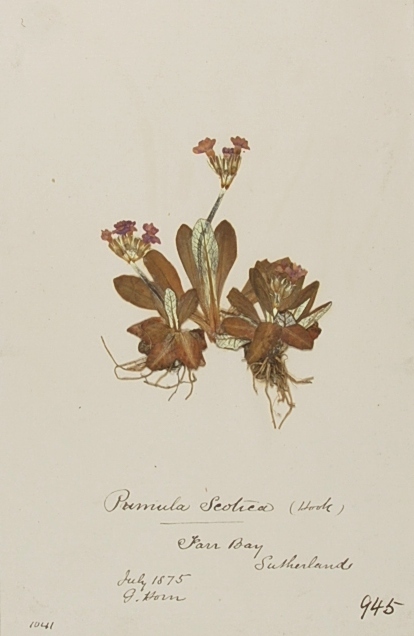 However, this species is counted as extinct in the wild as seeds were collected from the last population and were cultivated in botanic gardens. Subsequently it has been re-introduced to the english countryside in the hope that it can re-establish itself. This pretty red seaweed, however, is thought to be fully extinct. 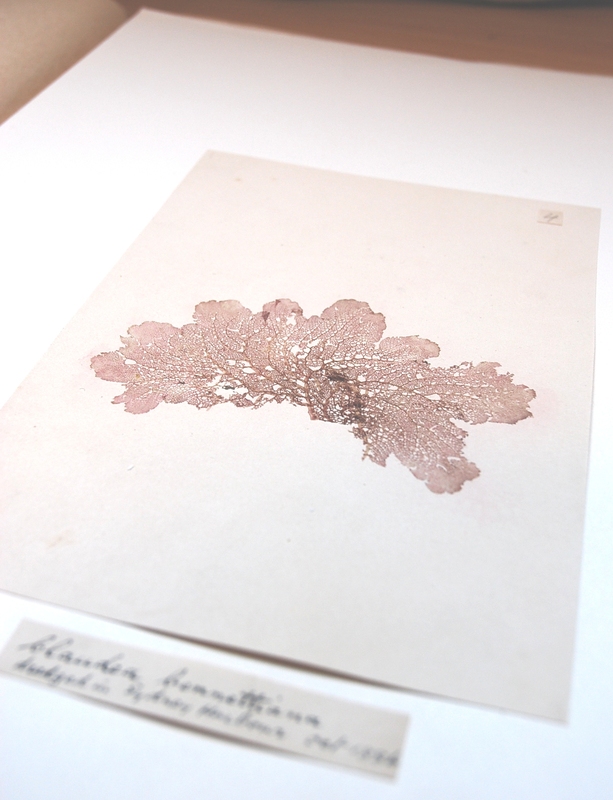 Vanvoorstia bennettiana (Bennett’s seaweed) has only been collected twice, once in 1855 and again 1886 from two different locations in and around Sydney Harbour. Despite extensive searches, this species seems to be extinct, perhaps because of disturbance and pollution of its habitat. Finally, this is Melicope cruciata (cross bearing pelea), a tree in the citrus family which only ever grew on the Hawaiian island of Kauai. 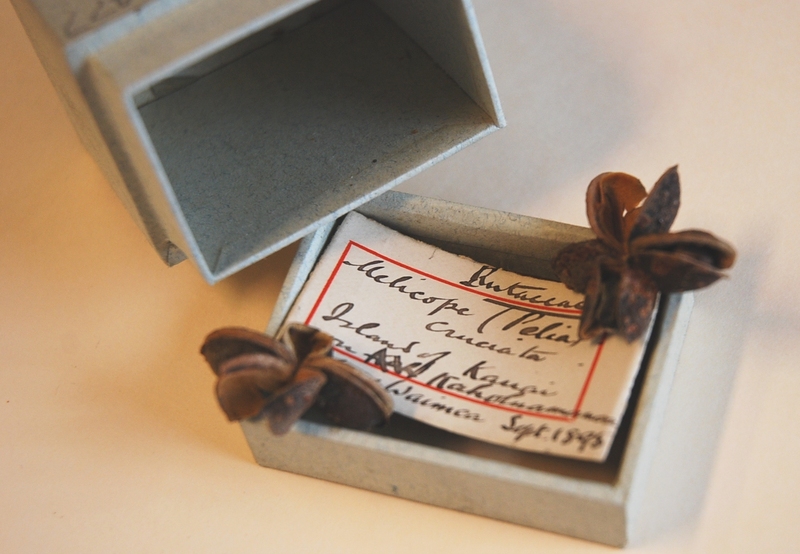 Rather poignantly, these seeds have been labelled and stored since their collection in 1895. This week, scientists from Russia have reported that the have successfully regenerated plants from 33,000 year-old seeds of Silene stenophylla which were found buried in the Siberian permafrost. However, I imagine that our cross-bearing pelea seeds have experienced much more variable conditions over their 117 year storage and are unlikely to still be viable. 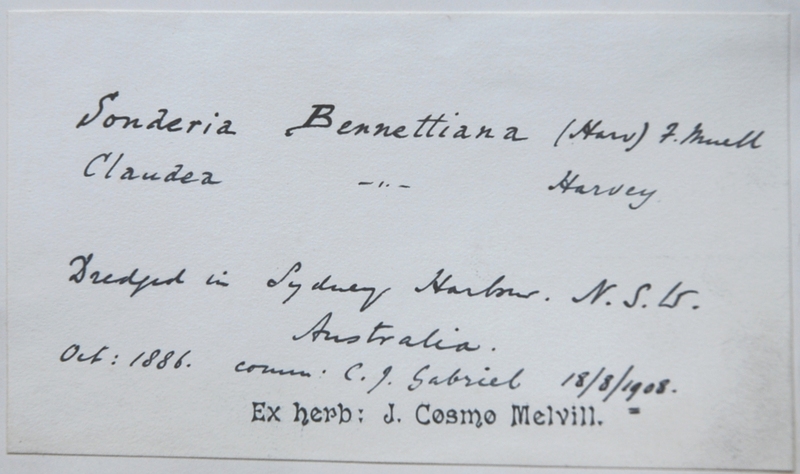 This entry was posted in Uncategorized, Victorian Botanists and tagged Biodiversity. Out on the allotment there has been snow, frost, wind and rain and so not much has changed since January. However, while everything’s quiet on the plant front, the allotment has welcomed lots of visitors to the museum during half-term week. Look how dry the path to the front door is after so many feet have passed by! The allotment volunteers have also been busy behind-the-scenes, planning the year ahead and exciting new developments for the shed. 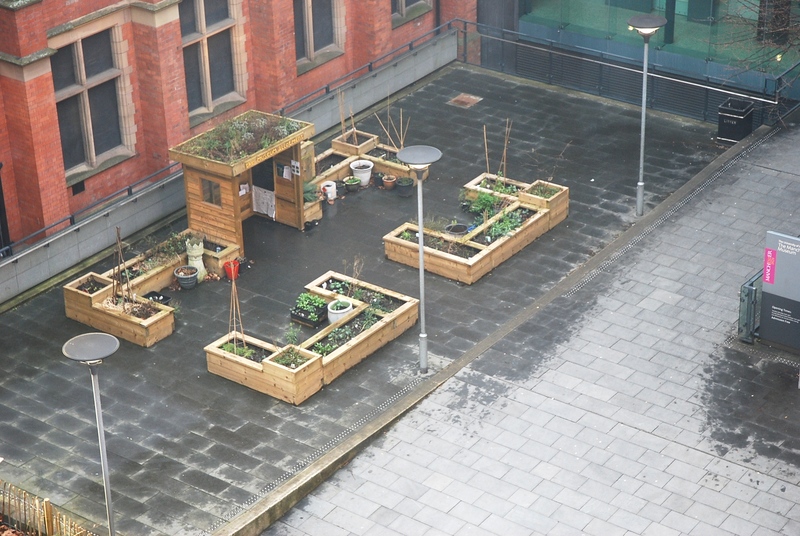 This entry was posted in Manchester, Museum Allotment and tagged Museum allotment. Here are a couple shots behind the scenes today. 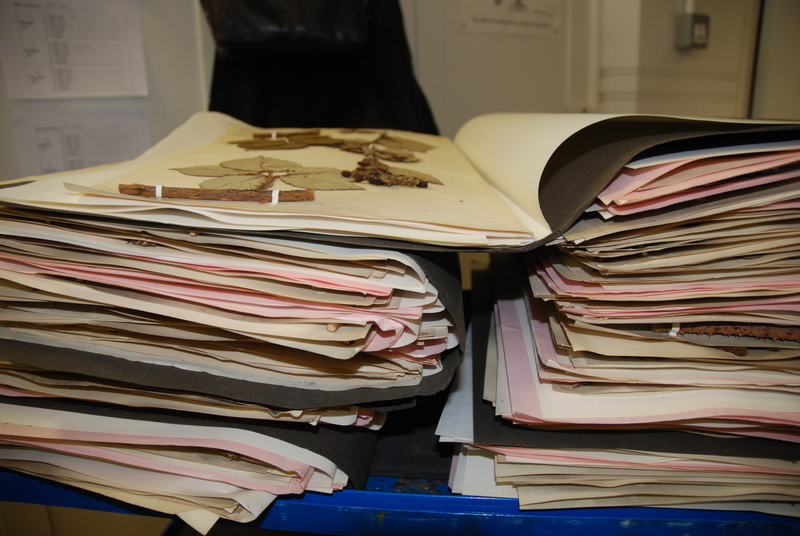 Above, a pile of herbarium sheets to be filed away. These ones are Rubus specimens (brambles or blackberries) – there are hundreds of species around the world. This is the East Corridor. 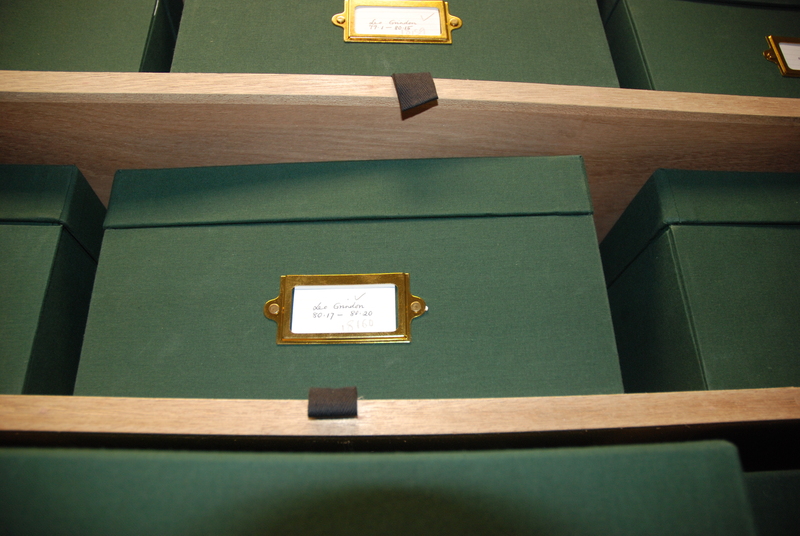 The herbarium sheets are stored in the green boxes (they had to green, for botany) and are sorted into geographical areas. 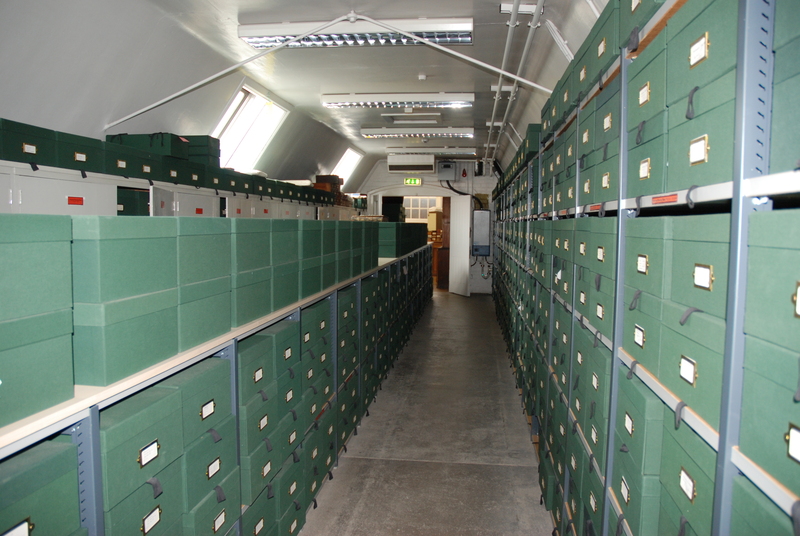 This section of the corridor holds European specimens. The bench along the centre should be empty, for working space, but we had to empty out three large store rooms when dry rot was found in the floorboards, so our benches are currently storage areas. Not for too much longer, I hope. 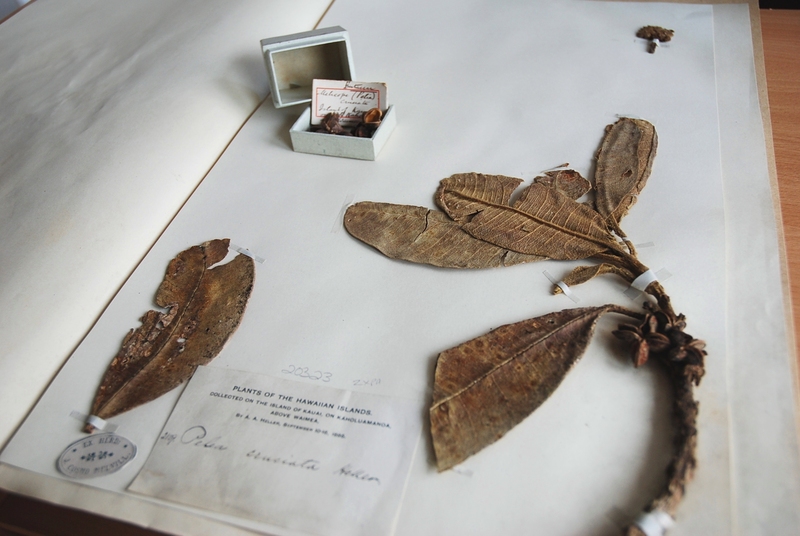 This entry was posted in Herbarium History, Manchester and tagged Herbarium, Leo Grindon, Manchester Museum, specimens. This is the tiny Scottish primrose (Primula scotia) and these lovely specimens still have a hint of the purple colour of the fresh flowers. They are Scottish endemics (so they don’t grow anywhere else in the world) and even then they are only found on the far north-eastern coasts along north-west Sutherland, Caithness and Orkney. This species is very particular about what it needs to thrive e.g. for the grass around them to be short (but not over-grazed), to be at a coastal site (but not subject to really severe storms) and where the soil is moist (but well-drained). With a limited range and Goldilocks-style habitat preferences, this is the type of plant which which could suffer as a result of global climate change. Flowering and seed-set would suffer if the Scottish summers become either to hot or too cold, and violent winter storms could seriously damage currently healthy populations. If you are interested in climate change, both what effects it may have and what we can do about it, then you may be interested to pose your questions to a panel of experts at The Manchester Museum’s Climate Change Question Time on 23rd February, 2012.